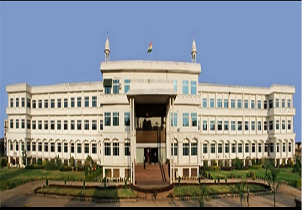 By the Government of Rajasthan, Mewar University was been established and approved by UGC and the university is an autonomous body and it is promoted by the Mewar Education Society (MES) and within a short span of time. It has become a vibrant centre of human growth and excellence due to the cohesiveness of its academic environment and its state-of-the-art physical infrastructure. The experienced teachers motivate students to bring out the best in them.. The vision of the university is to develop a center of excellence for technical, professional and vocational education and research. What is the procedure of admission in MBA? Is there any way of getting direct admission?? B A pass course ..admission process & hostel fecilitie .total fees 2019 / 20? MAy I know the highest package from your university in btech(cs) stream? Placement and job opportunities is gud, every year about 80 to 90% students get placement in various companies. Some of the companies who visited campus are CEAT,Quality engineering and software,Infosys Technologies,Hitachi,kei and some more. Highest package is 10.5 lakhs/annum. Average package is 5 lakhs/annum. How to get admission and fees structure? I want to know about the Hostel Fees in Mewar University? Hi, There is hostel facility provided by Mewar University and the fee structure for both female and male is INR 1L. Can I know Mba total fee structure in Mewar University, if I take up Finance as my specialization? Hi, MBA total fee is approx. INR 1.56 lakhs and per year it can be paid as INR 78,000. I am interested to join Mewar University for Btech course, May I know the registration fees at Mewar University? Hi, The registration fee for any course in Mewar University is INR 1000. Are you Interested inMewar University, Chittorgarh"? Please provide the following details.